YES - PONTIAC POWER !!!!!!!!!!!!!. Nothing like a great wheelie to get the blood pumping! TORQUE !!! Great shot !!! 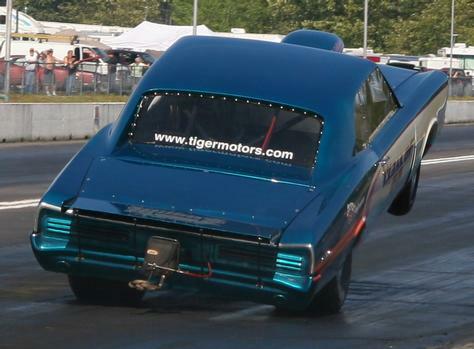 I wonder if I can get my 66 Tempest OHC 6 cylinder to pull the wheels up like that? It has to be my tires.......that's the trick...big tires....right?